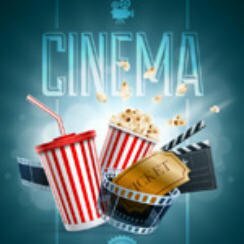 Popcorn Cinema Show takes a look at the weeks new movie releases for 1 July 2016 in the UK, US, Australia and New Zealand at the cinema, plus all the weeks film news. This weeks sees The Legend of Tarzan in the US and Absolutely Fabulous The Movie in the UK. So Independence Day fails to land the top spot in either US or UK charts. Instead Finding Dory retains top spot in the US whilst in the UK The Secret Life of Pets goes straight in at number 1. Finding Dory took $72,959,954 in North America whilst The Secret Life of Pets took £9,580,039 in the UK. Sequel to the 2014 film The Purge: Anarchy. Following on from events from Anarchy this time it’s set during the Presidential Elections with Barnes campaigning to end the annual Purge..